My MIL is from Chidhambaram district. Chidhambaram is famous for its temples,food etc. Whenever she makes this curry, it has the same taste, which will never change.Its her kai pakkuvam. Whenever , I prepare his mom's recipes H will be very happy. I noted the exact recipe, when I was in vacation last year.She usually, prepares all curries and rasams using "Kazhani thanni" - its the water, which we get from washing rice. This water has all the nutrients from the rice , which is Vitamin B12.It also enhances the taste of the curry. * Wash rice .Strain the water from the rice and keep it aside. Similarly ,wash the rice twice.Reserve the water from the washed rice. This water is going to be used to cook the mutton . The water from washed rice has vitamin B12 ,also it gives a good taste to the curry.Wash the mutton twice with water.Take a pressure pan, add little oil. when the oil is hot, add ginger garlic paste and saute it for a minute. Now dump in the mutton pieces and saute for a while. 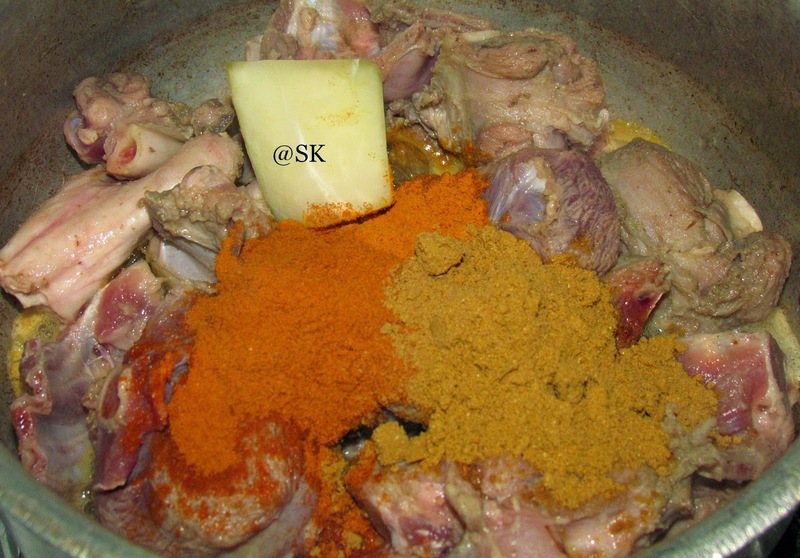 * When the mutton is sauteed, add the chilli powder,turmeric powder and corinader powder.Mix it well. Add a piece of raw papaya. This acts as a meat tenderizer and cooks the mutton soft. If you don't have raw papaya , just skip the step. 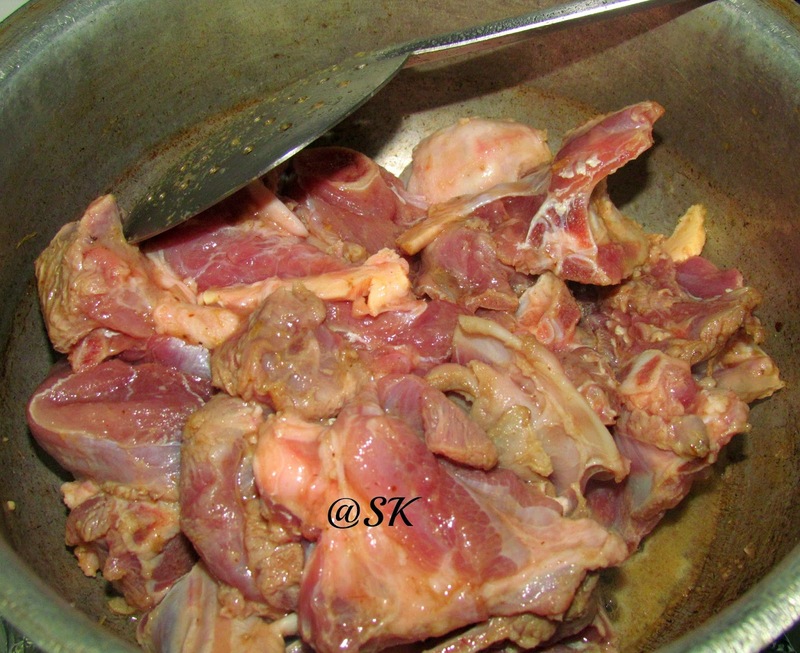 Now add the rice washed water to the mutton and cook for 2 whistles or untill the mutton is cooked well. Reserve the rice water to add it to the curry. * Soak poppy seeds in hot water for about 10 minutes. 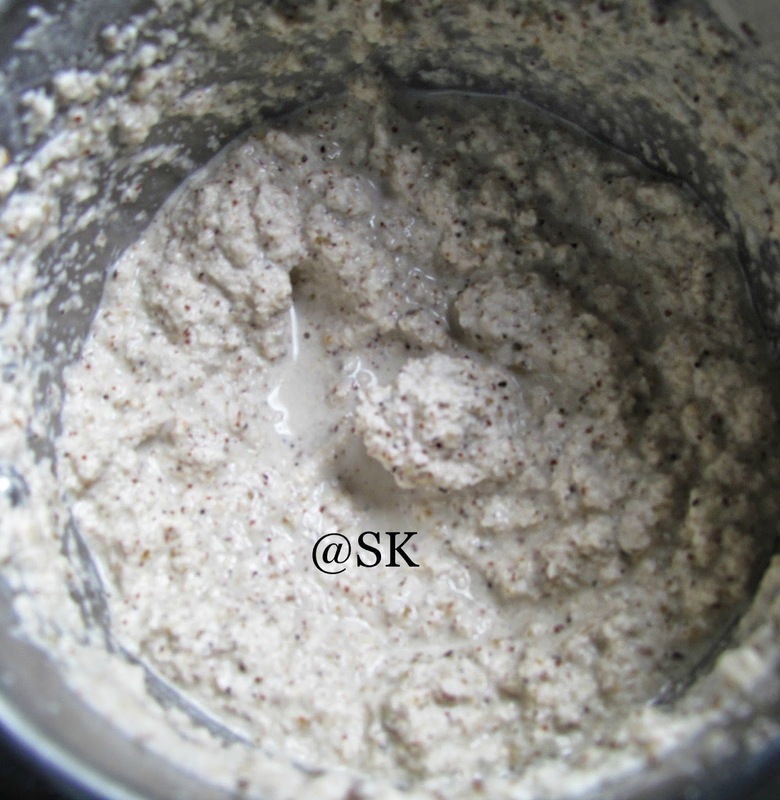 Take a blender and add coconut piecs,cumin seeds,pepper corns,fennel seeds and soaked poppy seeds. Blend them well. * The grinded mixture should be smooth to the touch, if not the curry will not be thick.The paste should be like that in the picture. * Take a pan, add oil.Temper with fennel seeds. 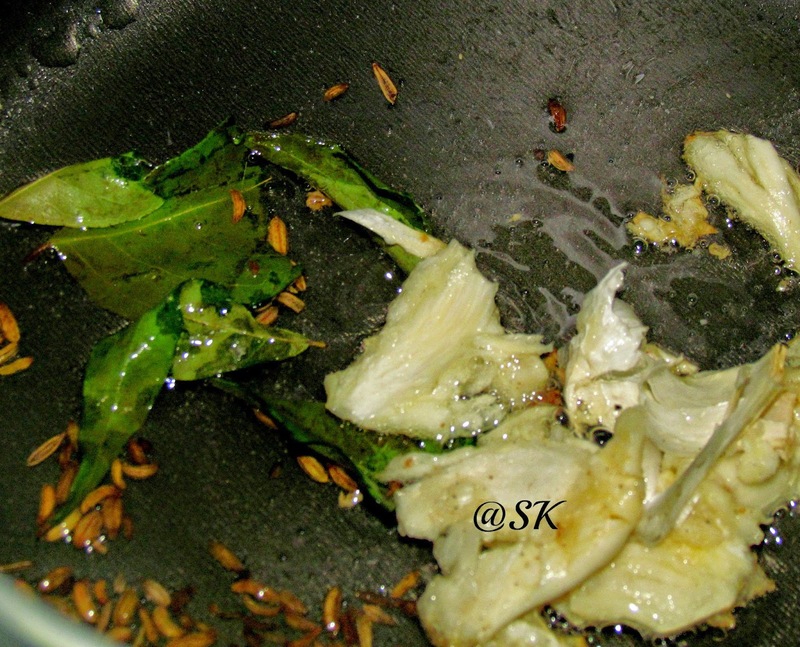 Crush the garlic pods and throw it in the pan along with curry leaves. * Saute sliced onions in the pan. Sprinkle little salt .Saute the onion ,till it turns translucent. * Now add chopped onions and saute it. Sprinkle some more salt for the tomato to cook.When the tomatoes are cooked well, add the grinded coconut paste to the pan. 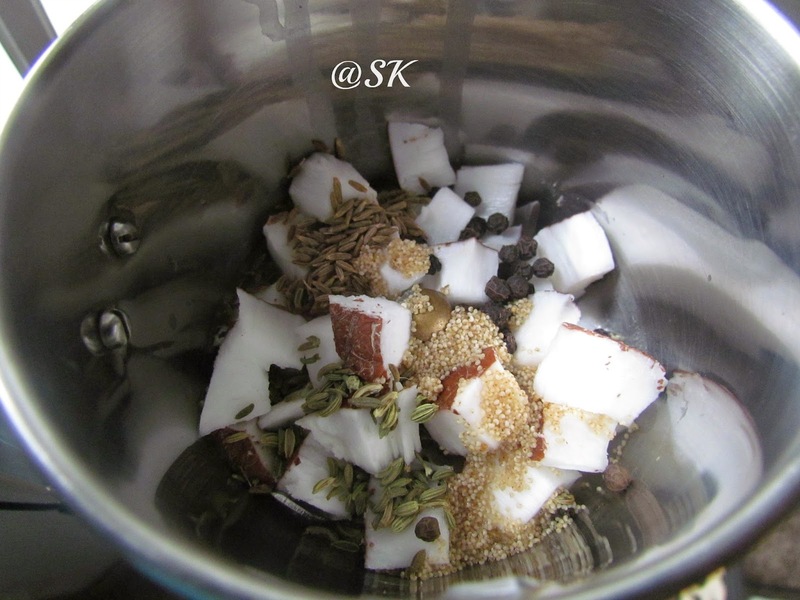 Mix the coconut well. Turn the flame to medium low, as coconut has the tendancy to separate its fat, when cooked in high flame. Now add the remaining (Washed rice water ) to the curry and bring it to our consistancy. 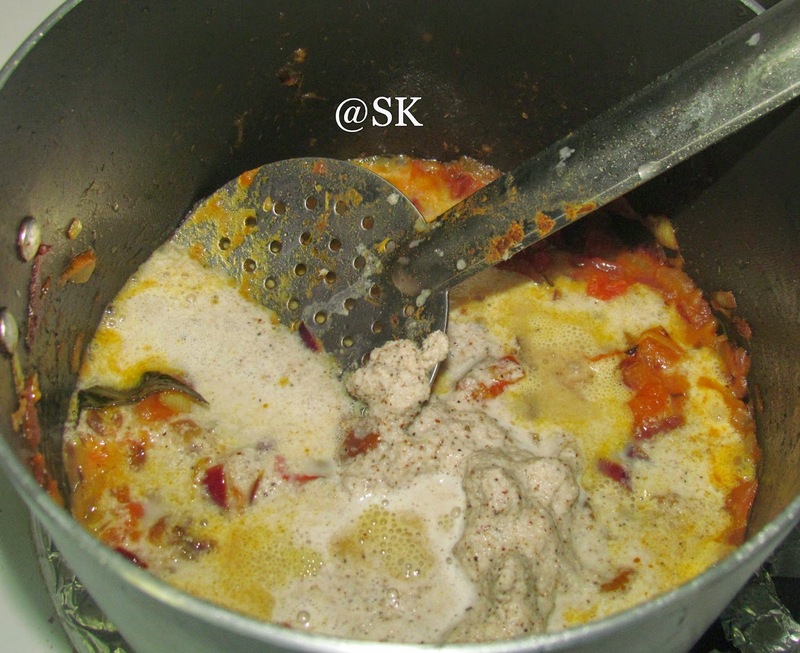 * Remove the cooked papaya pieces from the cooker.Add the masala to the pressure pan, which has cooked mutton. 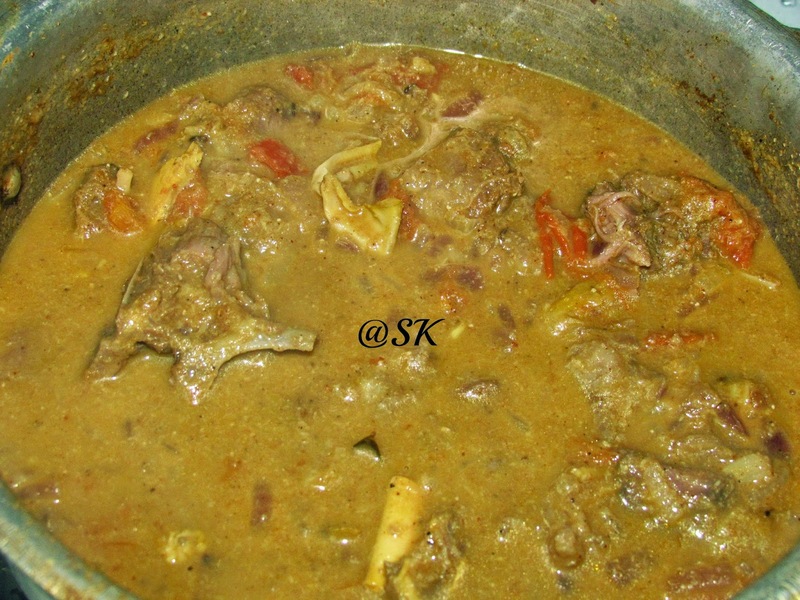 Let the mutton blend with the masala.Cover and cook the curry for another 5 minutes or untill the oil comes out. Adjust salt to taste.Garnish it with some chopped cilantro. Turnthe flame off and serve with rice or roti. * Adding the water from washed rice, will enhance the flavour of the curry.If you don't want, just add plain water to the curry. 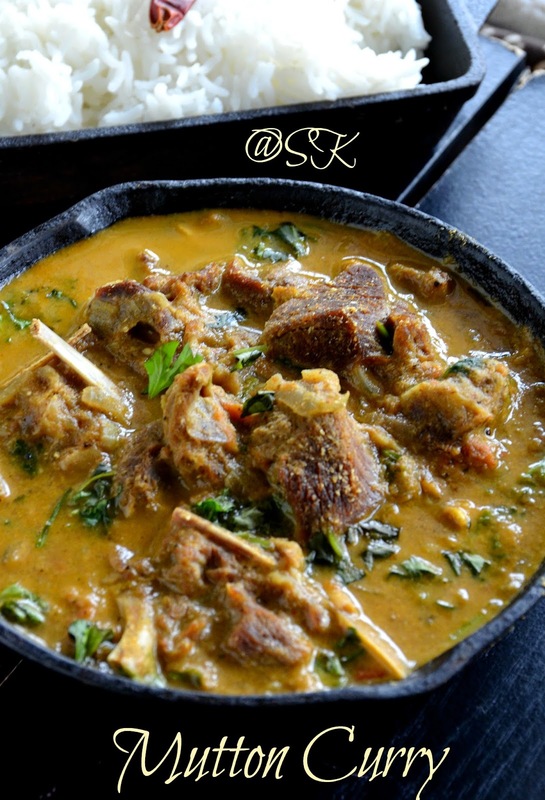 * Mutton has to be cooked well, before adding the masala. * The curry has to be medium consistancy, not so thick or bot so watery. * Adjust the spices according to your taste. * If you want a thick curry, then increase the amount of coconut. * Adding crushed garlic pods will give a very nice aroma to the curry. 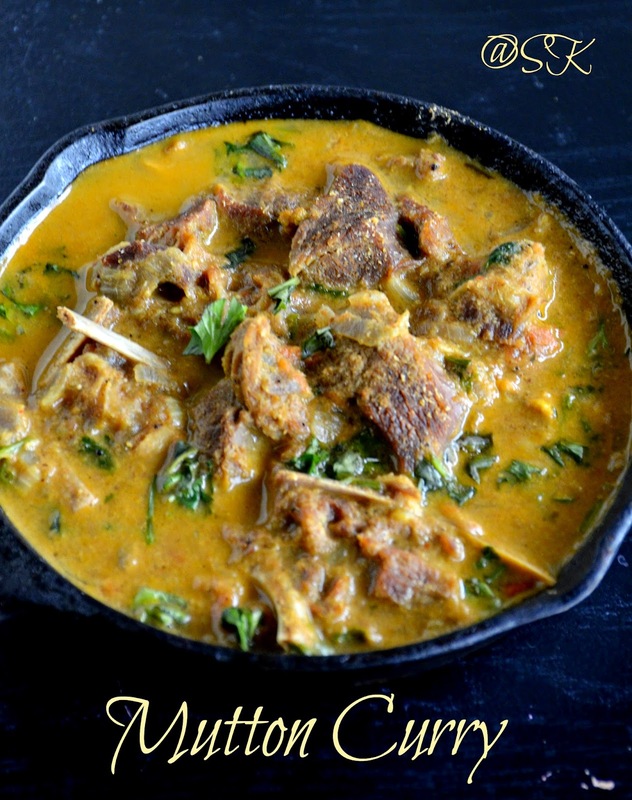 Super rich looking chicken curry, just need some rice to enjoy with this fingerlicking curry.